This textbook is designed for the one-semester undergraduate survey course on religion in American life. The organizing theme is nature and character of the religious diversity and pluralism that have become hallmarks of American culture, tracing their development from the indigenous native cultures that flourished prior to European conquest to the present. Throughout, the narrative highlights the interplay of religious forces with political, cultural, legal, and other social forces. It also integrates matters of gender into the overall story. 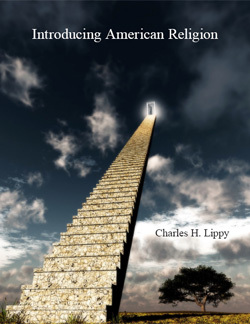 Although the book does not attempt to provide an introduction to the particular beliefs and practices of the thousands of individual religious groups that have taken root in the U.S., it does probe how a vibrant religious dimension has had pervasive and continuing influence on the shape of American life. Other underlying themes emphasize lived religion, how material culture reflects religious worldviews, ways in which diversity has had an impact on the body politic, and some of the distinguishing features of major religious groups. Following a broad chronological organization, the book gives precedence to these thematic considerations. Four major sections each have four chapters, moving from the indigenous cultures and European background to contemporary concerns regarding personal spirituality and the explosion of pluralism. As with other books in the series, chapters will include study questions for review, a glossary of more technical terms will appear before the index, and quotations from primary sources and illustrations will augment the narrative proper.